This is where I am and where I’ll be through next Saturday. 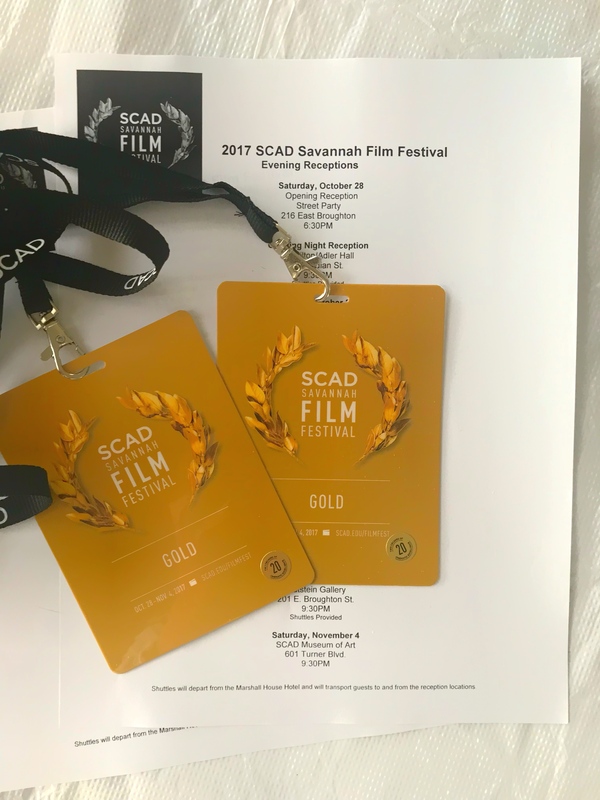 We saw “The Big Sick” followed by a Q&A with Holly Hunter and “Molly’s Game” followed by a Q&A with Aaron Sorkin yesterday. Looking forward to more great movies, documentaries, and Q&A’s this coming week. World Refugee Day is actually on June 20 each year and features events, prayer services and other activities. Many churches will feature special prayers and sermons in honor of the contributions refugees have made to their new homelands. I was not lost. I was just a boy on a journey. 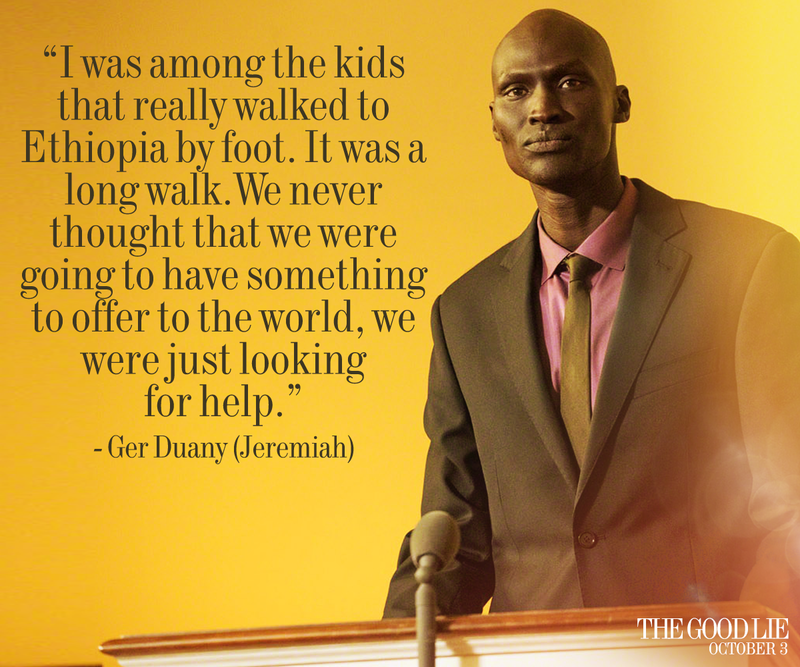 Ger Duany, who plays the character, Jeremiah, in the 2014 film, The Good Lie, with Reese Witherspoon, does not like the term “Lost Boys of Sudan” as he feels it misrepresents their situation. Duany was a child soldier before ending up in a refugee camp and finally being resettled in the United States. There he worked hard, went to college and is now an actor with five films under his belt. We spent time with Ger at the United Nations High Commission on Refugees (UNHCR) Regional Hub in Nairobi where he offers his support in their ongoing work with refugees. He said his fellow South Sudanese refugees have been very supportive of the film as it captures their story very well. “My heart still pounds when I see it on the screen and I see the problems again,” Ger said. 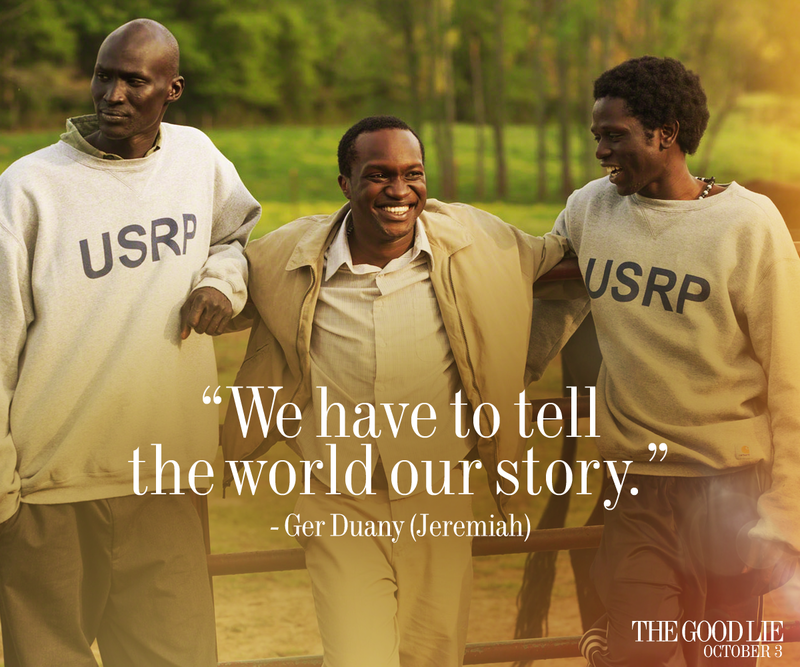 The movie tells the story of five siblings–four who are resettled in the United States and one who is left behind. Having recently become familiar with the resettlement process, the story is very real even down to details like the plastic bags that are their luggage or the mattresses they pull onto the floor to sleep on. The Piroque, 2012. This Senegalese film is about the people smugglers who, in this case, must transport a group of refugees across the North Atlantic to Spain in a small and poorly-equipped boat. When I Saw You, 2012. This movie takes place in a Palestinian Refugee Camp in the Jordanian desert in 1967. It centers around a young boy who flees the camp in search of his father. Monsieur Lazhar, 2011, about a Algerian man who has fled tragedy to live in Montreal as an illegal immigrant. Despite its unrealistic moments (an illegal immigrant probably couldn’t get hired as a teacher), and some predictability, it is worth watching for its humanity–refugees are people too. District 9, 2009. Okay, the refugees in this movie are aliens, but the xenophobia and ethnic displacement are very real. Welcome, 2009, about an Iraqi Kurdish teenager’s attempt to seek asylum in the United Kingdom by swimming across the English Channel. The Visitor, 2007, about a lonely college professor who finds a Palestinian-Syrian drummer and his Senegalese girlfriend living in his apartment in New York City and the effect this couple have on his life. Children of Men, 2006. Despite the fact it is dystopian fiction, this film by Alfonso Cuarón is about asylum seekers fleeing worldwide anarchy only to find themselves hunted down and forced to live in offshore penal colonies. And, although they can no longer reproduce, one refugee miraculously finds herself pregnant and must be saved from sure death. In This World, 2002. Two Afghani asylum seekers leave a Pakistani refugee camp for a new life in the United Kingdom, but they face very real dangers along the way. El Norte, 1983. Two Guatemalan children flee north to California when their family is killed by the army. Not only is the trip there harrowing, but they face many obstacles once they arrive. America, America, 1963. In this film by Elia Kazan, Greek refugees flee to America from the Ottoman oppression of the 1890s. Casablanca, 1942. This classic film is more than just a romance. It is about people (refugees) fleeing the Nazi occupation in Europe. And it is true today as it was then–sometimes you can get on that plane and sometimes you just wait. And wait. And wait.